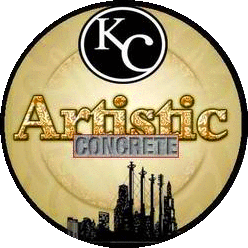 We at KC Artistic Concrete suggest that you or we do a moisture test of a slab below grade. Basements are great candidates for this test. In most cases I can look at a floor and determine that there might be a moisture issue or not based on my experience in the industry. Discussing the moisture variables at the time of the estimate is key to the successful outcome of the project. Please note that all Moisture Tests are considered Point In Time Testing. Before installation of floor coverings on concrete substrates it is wise to test the rate of Moisture Vapor Transmission (MVT). The Calcium Chloride test is the only quantifiable test method which identifies the rate of moisture transmission within the concrete. While there are probe tests conforming to ASTM F-2170, the results deliver only the relative humidity of the substrate. While this can be effective for measuring the rate of drying or evaporation of the Water of Conveyance (WOC), it can not produce a quantifiable rate of vapor transmission. The following guideline is provided to assist in testing for moisture using the Calcium Chloride test method. • Tests must be 5’ from exterior walls. It is recommended that a professional testing be contracted to do the testing. Although the tests are simple to administer, it is in the best interest of all involved parties to have a professional, independent, non-biased firm conduct the tests. Sherwin Williams Industrial in N. Kansas City Mo has the accurate means to read such tests. This provides third party documentation for Owners, GC’s, Flooring Contractors, and Developers. The test site should be at the same temperature and humidity expected during normal use. If this is not possible, then the test conditions should be 75 ± 10°F (23.9 ± 5.5°C) and 50 ± 10% relative humidity. Maintain these conditions a minimum of 48 hrs. prior to, and during testing. Prior to placement of the tests, the actual test area should be clean and free of all foreign substances. All residual adhesives, curing compounds, sealers, paints, floor coverings, etc. should be removed by using approved OSHA work practices. Remove the lid from the plastic jar containing the calcium chloride and, being careful not to spill any of the calcium chloride, place the jar on the floor. (Note: If any of the calcium chloride is spilled, the test kit must be discarded and the test must be performed with a new kit.) Place the lid on the lid caddy to save for resealing and re-weighing. Avoid mixing with jars from other kits. Note: Do not place the lid inside the plastic dome! Remove the release paper from the sealant on the plastic cover and immediately place the plastic cover over the calcium chloride jar and press firmly to the floor making certain that the sealant gives an airtight seal around the plastic cover. DO NOT use any additional tape to seal the plastic lid to the floor. Unfold and set up the test kit box according to the printed instructions and place over the test plastic dome and stabilize by taping to the floor (do not tape entire edge of box as this will invalidate the test). Leave the test undisturbed for a minimum of 60 hours (do not exceed 72 hrs.). Be sure to note the date and the exact time (to the nearest 1/4 hr.) the test was started on the dish label. After 60 and before 72 hours remove the cover and replace the snap lid. Make sure that none of the calcium chloride is spilled. Record the date and exact time the test was concluded on the label. Weigh the completed test. Calculation Procedures for Calcium Chloride Test Method. To calculate the amount of Moisture Vapor Transmission (MVT), use the following procedure. Determine the weight gain in grams by subtracting the original weight of the test jar from the weight at the tests’ conclusion. Determine the number of hours that the test was run (between 60 and 72). The moisture emission in the example is 4.93 lbs. over a 1000 sq. ft. area in a 24 hour period. In this example, I would use a high solids flooring system. Over a 6lb test result I would recommend a water based system.